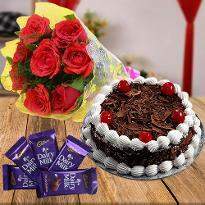 Order and Send Cake and flowers online in Jammu | Buy Cake and Flowers Now! 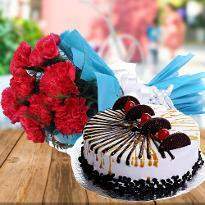 Cake cutting ceremony has become popular in every celebration. 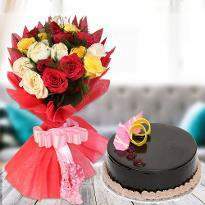 Having a sweet delicacy along with flower bouquet sugar-coats the emotions and creates a unique bonding with near and dear ones. 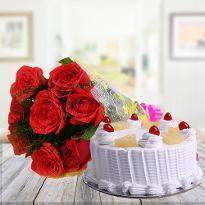 The sweetness of cake satisfies the taste buds and fresh flowers can brighten up anyone's day. 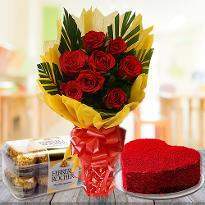 This unusual combination will amaze anyone when it is sent for doorstep delivery from Winni. 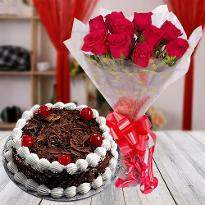 So, if you want to send cake and flowers to Jammu then choose our online cake and flower delivery. 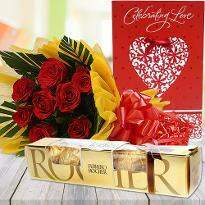 Your gift will be delivered to your loved ones at the right time and the right place. 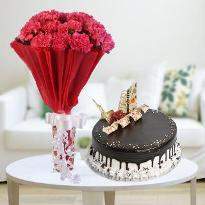 So, don't hesitate and place your order for online cake and flowers now! 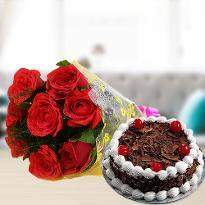 Everyone loves flowers because of its enthralling charm, sweet essence and evergreen beauty. 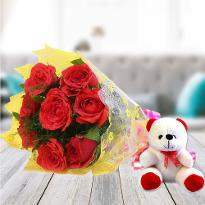 They are beautiful enough to cheer up the mood of anyone and leave a wide smile on their face. 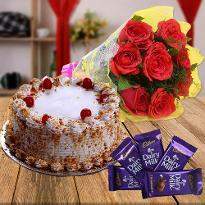 This is the reason it makes a perfect gift when coupled with a delicious cake. 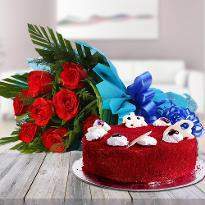 Winni provides online cake and flower delivery in Jammu to make your day beautiful and joyous. 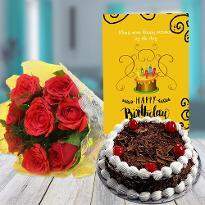 At Winni, we have come up with an extensive collection of cake and flowers at a reasonable rate so that you don't have to burn a hole in your pocket to purchase them. 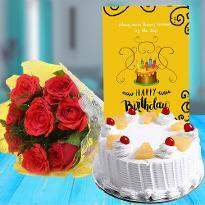 If you are away from your hometown and miss being part of the celebration, then send cake and flowers to extend your love and wishes to them. 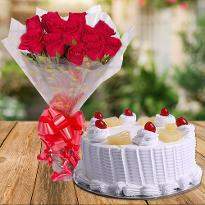 The gorgeous looks of flowers and the succulent taste cake are sure to warm their heart and make them feel closer to you even when you are away from them. 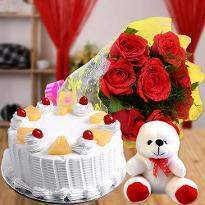 Never judge the gifts by its size. 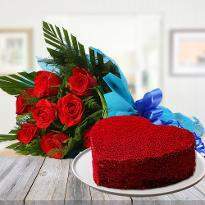 Instead appreciate the love behind it. 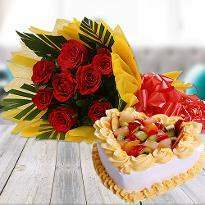 Giving gifts to your loved one is the greatest joy but the exciting moment is when someone gives you an unexpected gift. 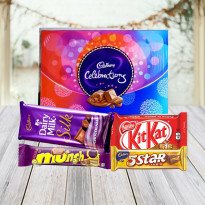 Get a sweet treat for your kids, parents, friends, relatives or any special one. 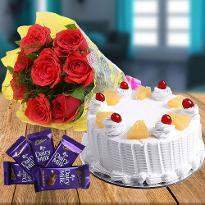 Winni offers you an impressive range of online combos that include cakes, flowers, dry fruits, soft toys, chocolates and many more are still adding to make it more attractive. 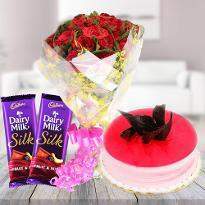 The lovely combination of products makes the combo a special gift that you can offer to your loved ones. 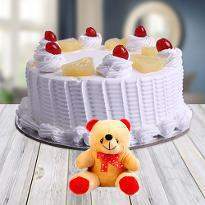 So just visit Winni.in and experience the joy of gift giving. 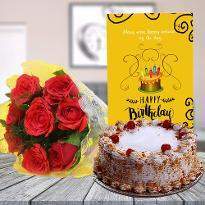 If you are willing to send cake and flowers to Jummu to delight your beloved ones then choose the best combo from Winni. 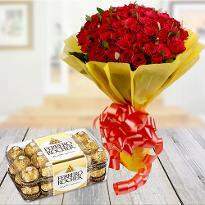 order it and send for instant delivery.